Transport for Wales (TfW) has brought in compensation for delays of 15 minutes on its branded rail services on the Wales and Borders route. It comes as the UK Government’s rail minister admitted that attempts to extend Delay Repay 15 elsewhere on the UK rail network have themselves been delayed, apparently by a disagreement over who will fund the extra compensation. 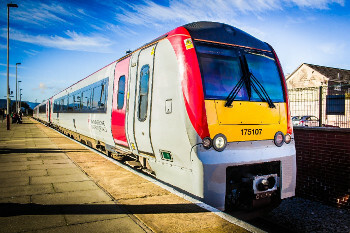 Last year the Welsh Government awarded a KeolisAmey joint venture the new 15-year Wales and Borders franchise, which began in October 2018 with trains branded as TfW/Trafnidiaeth Cymru. TfW CEO James Price said; ‘The introduction of this compensation scheme further highlights how we are putting the customer first in our plans to transform transport in Wales. We want to deliver a world class train service that works for the passenger and this is just one step we are taking to help ensure this. The move means customers will now be compensated if they reach their final destination 15 minutes later than expected, regardless of the reason. Customers can claim 25% of the cost of the single fare or 25% of the cost of the relevant leg of a return ticket for delays of between 15 and 29 minutes. TfW said Delay Repay offers a wider choice of repayment options, including bank transfer, Paypal and donation to the Railway Children charity and gives customers a quicker response to their claim, as claims will now be processed within 48 hours of receipt.